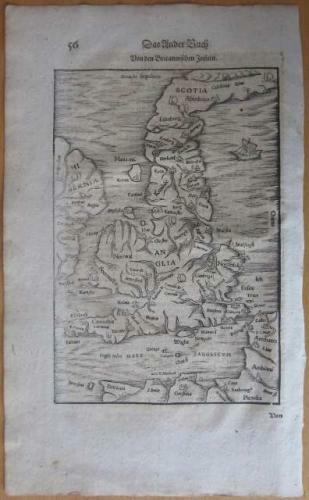 An unusual outline of the British Isles, influenced by Ptolemy. In very good antiquarian condition. A small hole at the coast of Scotland and slight overall toning.